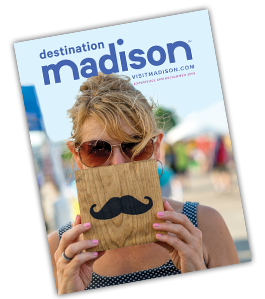 Join us for the 17th year of a Madison summer tradition! Opera in the Park has become the very definition of what Madison Opera means to our community. In beautiful Garner Park, the stars come out in the sky, the light sticks come out in the audience, and singers from our upcoming season share their favorite opera and musical theater numbers, along with the Madison Opera Chorus and Madison Symphony Orchestra. Come discover what happens when our community comes together around beautiful performances, beautiful music, and a beautiful summer night. Opera in the Park 2018 is conducted by Gary Thor Wedow, with the Madison Opera Chorus and the Madison Symphony Orchestra. Soloists and repertoire will be announced in spring 2018. Garner Park opens at 7:00 AM the day of the concert. Blankets, chairs, food and beverages are allowed.